BEI Exterior Maintenance consistently ranks in the uppermost tier of top rated roofing contractors nationally year after year. These awards put BEI among the “Best of the Nation’s Best” at providing great quality workmanship and service to their customers. From single family residential or business structures to large complex Home Owner Associations and commercial buildings, BEI utilizes trained and certified roofing professionals, products, and the technology needed to repair or replace your shingle roof. At BEI Exterior Maintenance, we will work with your HOA or Property Management group to ensure quality, consistent shingle roofing for our whole project. We will work with your budgeting timeframe and create a shingle roofing plan that suites your property’s roofing requirements. 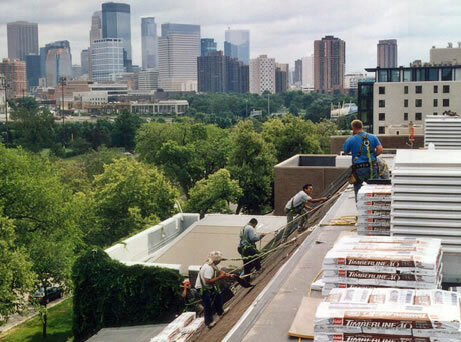 Whether your management group is looking for a budgeted maintenance plan or complete roof replacement, we will work with you. Contact us to see how we can work together. GAF Shingles offer a wide range of design choices and colors, including shingles that have the rich look of natural materials like wood, slate, and tile. Designed to complement your home’s architectural style, GAF shingles provide lasting protection. And because BEI is a GAF Master Elite Roofing Contractor we can furnish you with the longest lasting roofing warranty GAF offers. Owens Corning Roofing has a shingle style and color for every type of home. Your Owens Corning Shingle Roof is your home’s first line of defense from the forces of nature. Designed to bring strength and beauty to your home, Owens Corning’s SureNail Technology is a breakthrough in roofing technology. And because BEI is an Owens Corning Preferred Contractor we can offer the Owens Corning System Advantage Preferred Roofing Limited Warranty with its Tru PROtection Lifetime Shingle Warranty of 50 years. CertainTeed Shingles endure time and weather beautifully. Their construction offers the exceptional value of the industry’s toughest fiber glass mat. CertainTeed Shingles offer peace of mind with their enhanced lifetime limited warranty that protects against any manufacturing defects.